More and more people live in cities of 50,000 or more, putting horses out of reach for many horse-interested people. According to the US Census Bureau, 90 percent of the US population lives in cities of 50,000 or more. This concentration of people has created a demand for housing, schools, stores, restaurants and other essential services. As a result, previously open landscapes are becoming crowded with subdivisions, schools and roads. At the same time, parks and other public spaces are facing increasing and often incompatible demands. Horse farms and facilities feel the pinch of development most acutely. Values of urban and close-in suburban properties have risen rapidly. Horse properties, boarding barns, hay fields and lesson facilities are closing or moving farther away as farmland becomes housing developments. Horses need their human partners to live within proximity of them to care for, enjoy and sustain them. Horses require pastures, stabling, trails, training grounds, competition venues and hayfields. In community after community, the in-town boarding or livery stable, the lesson barn, the polo field and the bridle paths transformed into malls, subdivisions and schools. Parks and trails are now home to more users and, sometimes, conflicting uses. As more people have moved closer to cities, suburban sprawl increased the pressure on horse lands. Horse facilities in close-in suburbs faced the highest rate of conversion into subdivisions and shopping malls over the past two decades. In one bedroom community to Washington DC, more than 30 boarding, lesson and training barns closed in 15 years. The threat to the horse industry does not end with land use, however. Economic analysis reveals that along with our population incomes are urbanizing as well. Our horses now live farther away from the financial resources needed to support them. Participating in horse activities requires a fair amount of disposable income. According to a recent study by McKinsey & Company, cities generate 85 percent of gross domestic product. Wages in urban communities outstrip wages in rural areas. The people who can afford to enjoy horses live in the very areas where horse properties are the scarcest. The loss of suburban and close-in horse facilities means that people who can afford to participate in horse activities must also enjoy flexible schedules and available time to travel to horse facilities. Preservation of close-in and urban horse facilities can put horses within reach for this group while retaining the economic benefits horses bring to the community. 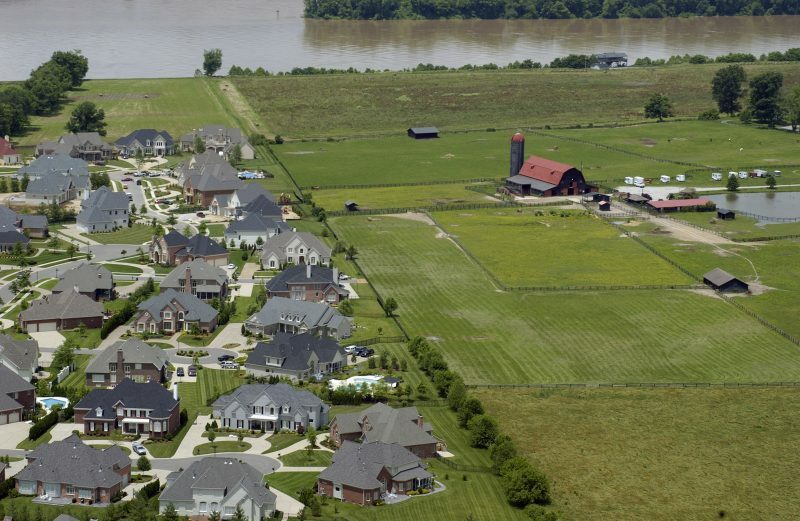 Suburbanites enjoy better geographic proximity to horses. However, they are less likely to enjoy either the extra income or time to enjoy them. According to The Washington Post, the number of people living in poverty in the suburbs rose at twice the rate of urban poverty growth over the past decade. 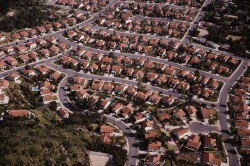 This means that three million more poor Americans live in suburban communities than in cities. Rural areas have the best access to horse lands yet have the highest and most persistent rate of poverty in the United States. According to 2010 US Census data, nearly a third of rural residents live in near-poverty. This puts horses out of reach for a large swath of the very population that enjoys the best access to them. It also starves out the farriers, veterinarians, feed stores and other businesses needed to attract and support horse owners. The convergence of income and population in cities is a real and near-term threat to the horse industry. We can do little to turn the tide on macroeconomics. However, we can act to safeguard the lands and facilities our sport and our industry requires. Get involved in community planning. Represent the interests of horses, equestrians and the horse industry in planning discussions. Call your local planning office and request a copy of the land use plan. Attend a planning and zoning board meeting. Make your perspective known. Talk to the people who work for you. Your elected officials at the city, county, state and federal level work for you. Call them. Meet them. Write to them. Ask them to include horses in your community’s landscape. Keep it green. Be a voice for keeping parks, open spaces and horse facilities in your community. Defend properties under pressure from development or use management. Join up. Join your state horse council, local trail organization or local horse club. It is important to speak up but your voice will be louder still if you join with other horse people in your community. Visit us. Visit www.elcr.org to learn more about participating in community planning, starting your own horse organization and advocating for horse lands.